One of the most important things to consider when you are looking for a good school for your little one is the class size. Some centers for childcare in Bronx, New York will offer a small class size and some will offer a larger class size. It is important to find a school that is able to keep class sizes as small as possible. There are a number of different benefits that your little one will experience by going to a school with small class sizes. One of the main reasons why it is so important to find a school that offers a small class is that every child learns in their own way. A small class size will make it possible for the teacher to spend more time teaching each child personally. This will ensure that no one is left behind and that all of the children are receiving the education they deserve. Another reason why a small class size is important is that it provides better educational activities and opportunities. This means more field trips and fun educational programs that would be extra challenging to do with larger class size. Consequently, this can make learning much more engaging and fun. With smaller class sizes, your child will experience much better education. 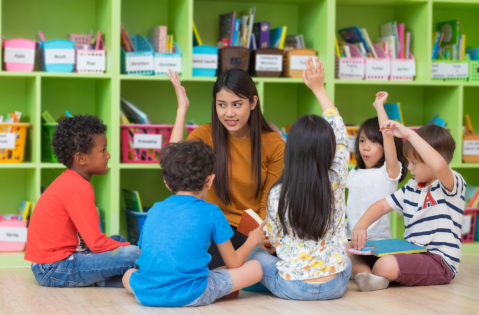 This is because the teacher is not only able to teach each child at their own pace but can also take their time and choose topics that your little ones will be interested in. It will also create a better learning environment because everyone will be much closer to each other, compared to a bigger class. Those are just a few of the many factors that you will want to keep in mind when it comes down to the importance of a small class size. If you would like to find out more about this or if you want to enroll your little one at our Preschool in New York, please feel free to get in touch with our administrators at Sharon Baptist Head Start for more information anytime. This entry was posted in Childcare and tagged child day care center, childhood education, preschool education. Bookmark the permalink.